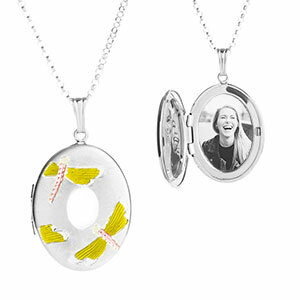 This Sterling Silver Oval Locket with Painted Dragonflies can be engraved on the front with a single initial and on the back with a special message. It comes with an 18 inch rolo chain. 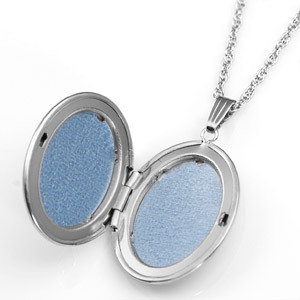 Made in the USA This gorgeous personalized locket is unique and you can make it even more unique by adding your own special touch of personalization to it. Not sure what to engrave? 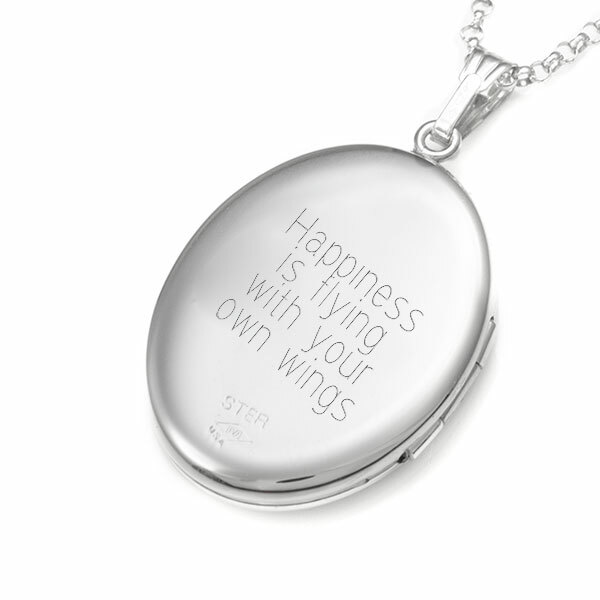 Ask us or visit our Engraving Suggestions page for personalization ideas. Up to 1 lines of 1 characters each, including spaces!